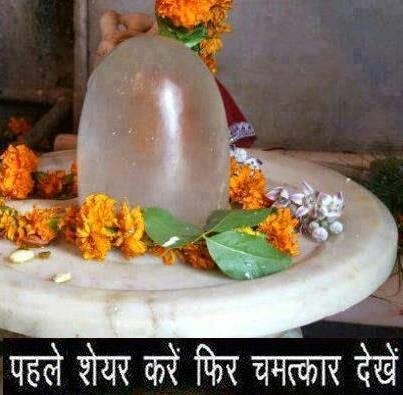 Have you Ever wanted to visit the holy Jyotirling Shrines in India of Lord Shiva? If yes, then here is a great opportunity to visit some of the traditional Jyotirlinga (holy symbol of shiva) shrines by train. The Indian Railway Catering and Tourism Corporation (IRCTC) has come up with couple of tour packages that can be booked online by devotees of lord Shiva to see the radiant sign of the almighty and get blessed. Tour starts from chandigarh station early morning. Travelers can board from other stations on the route. Following are boarding/ de-boarding points - Ambala , Kurukshetra Jn, Karnal , Panipat , Delhi Cantt , Rewari , Alwar , Jaipur Jn railway stations. The tour will last for 9 nights and 10 days. Travelers will be provided meal, hotel accommodation, sight seeing guides, road transfer facilities. Three types of accommodation, namely standard, comfort, and deluxe are available. For booking information, itinerary, timetable and schedule, and what else is included in package click here. The pilgrims of Shiva can board the train from these stations enroute, namely Chandigarh, Ambala, Delhi Safdarjung, Moradabad, Barielly, Shahjahanpur, Lucknow, Kanpur, Jhansi, Bhopal. Again on-board and off-board meals, hotel accommodation, sight seeing facilities will be provided to tourists. Expenses for Camera (still / movie) charges at the monuments, Monument entry fee, Boating charges. Porterage, tips, insurance etc. is excluded from package price. To know how to do booking, schedule, what is the cost of tour, and what's provided to travelling parties - click here.